HALF MOON ENTRY MAT home decor, jewelry, decor, decorations, electronics, fountains, floor mats, art glass, vases, garden essentials, fireplace screens. 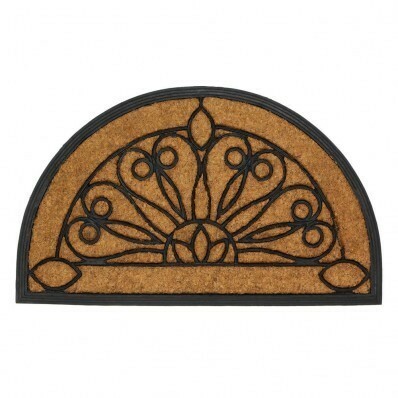 Adorn your front door with a stylish and functional mat. This rubber and coir entry mat keeps dirt and debris out while making a grand first impression on your guests. Material(s): RUBBER COIR. Dimensions 30" x 18" x 0.875".